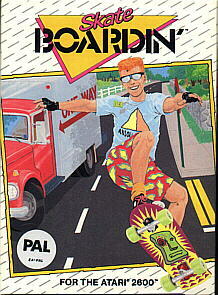 Radical moves, dude! The crowd freaks out as you blast by on your blazin´ board ... darting and slicing through the tubes and over that last killer ramp to win the "Worldwide Skateboard Champion" trophy ... Riinnnggg!!! Bummer - your alarm clock!! You´ve been dreaming again ... and now there´s, likefive minutes to get to school. One more time and it´s suspension for you. 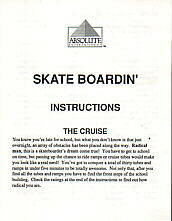 So jump on that board and get psyched for a totally intense cruise! Sure, you´re awesome - but do you have the timing? The guts? Conquering all 30 obstacles will be the ultimate challenge ... and time is running out! Go for it!! !